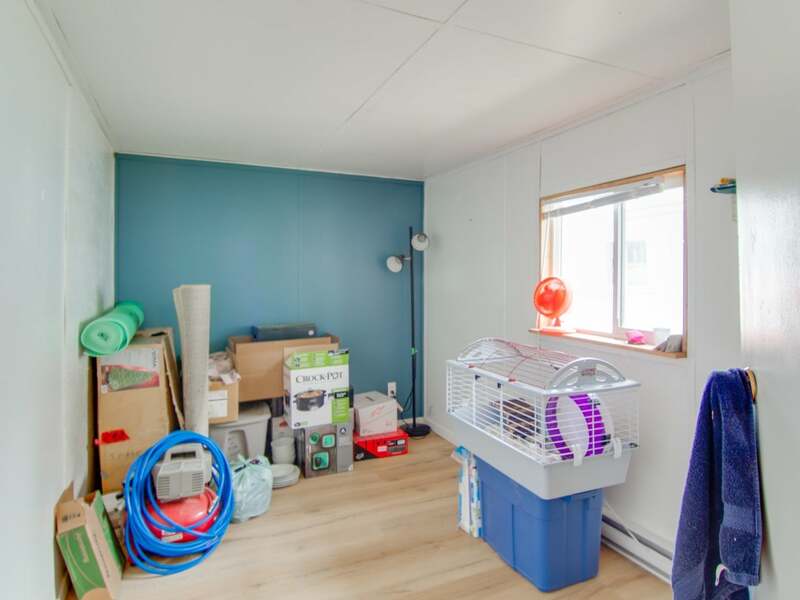 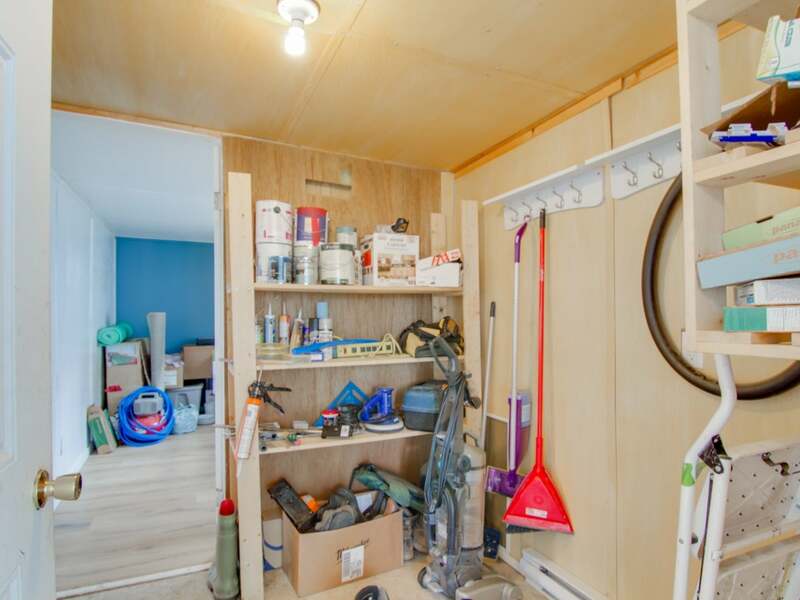 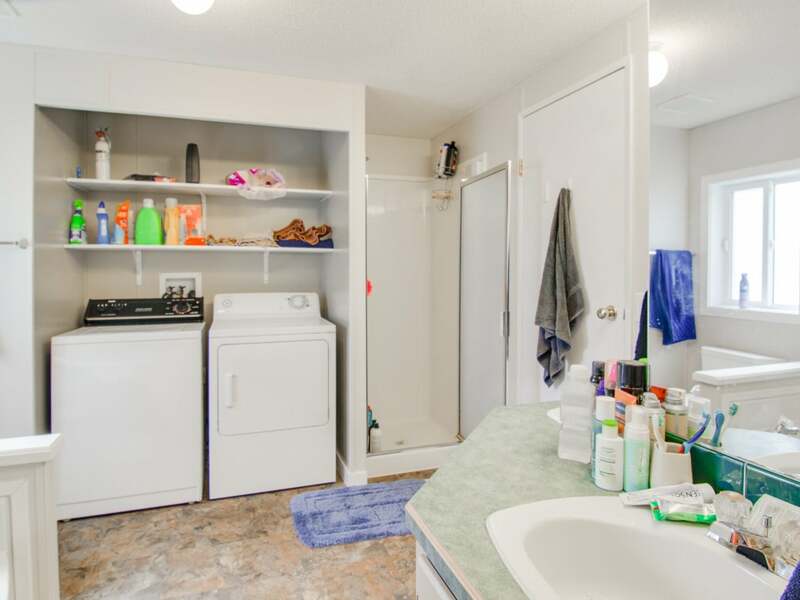 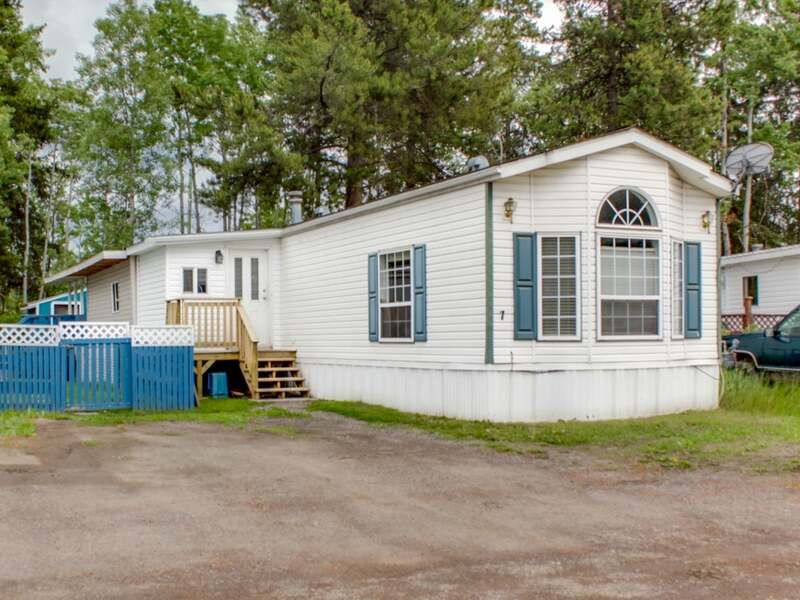 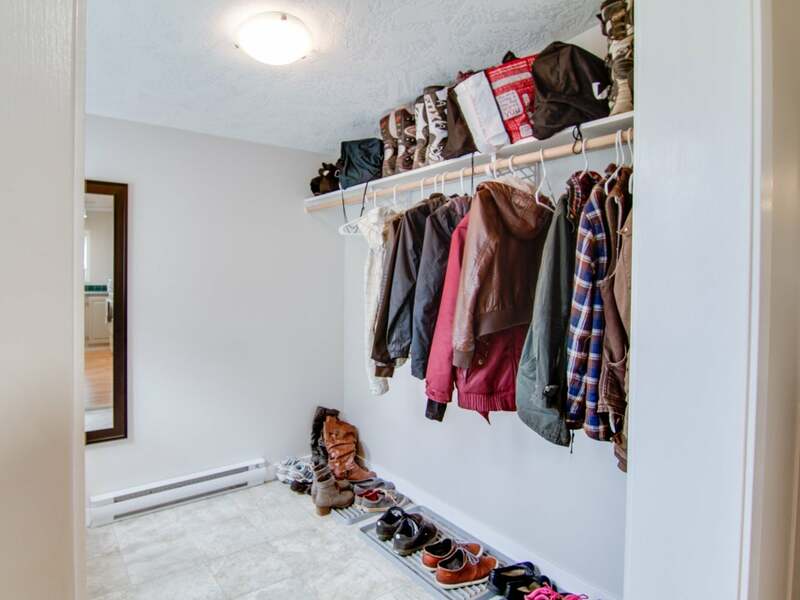 Clean and tidy 3 bedroom mobile on the first row of Mountain View Mobile Park. 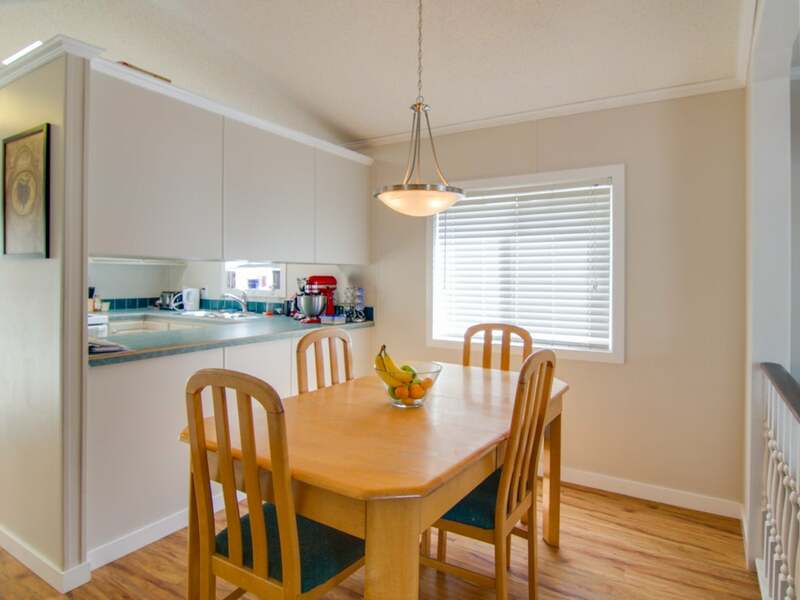 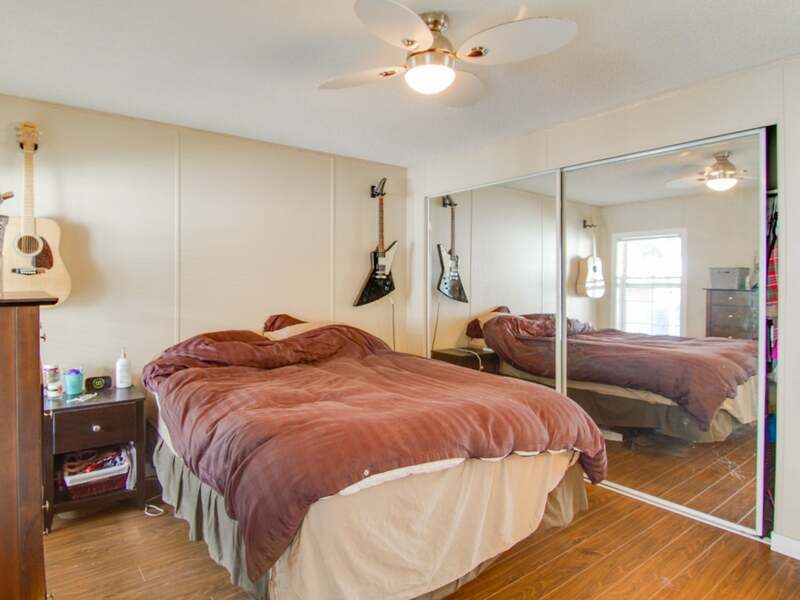 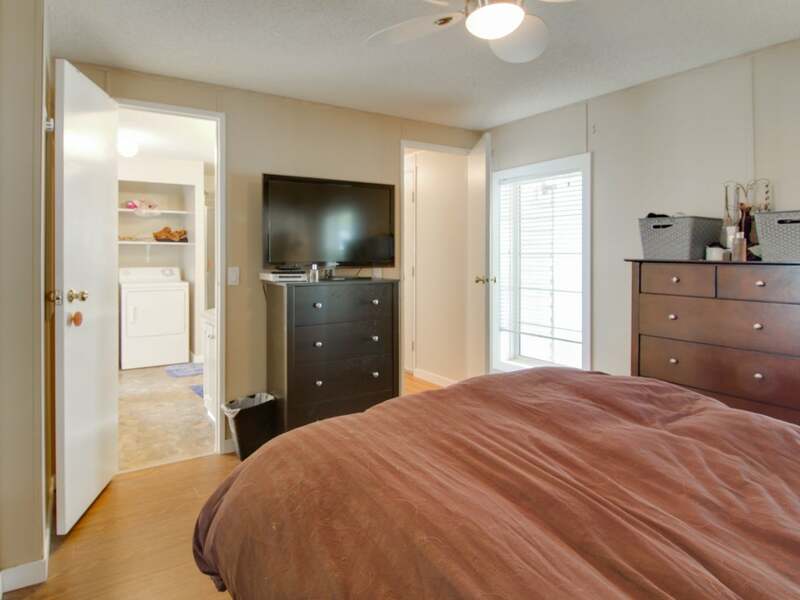 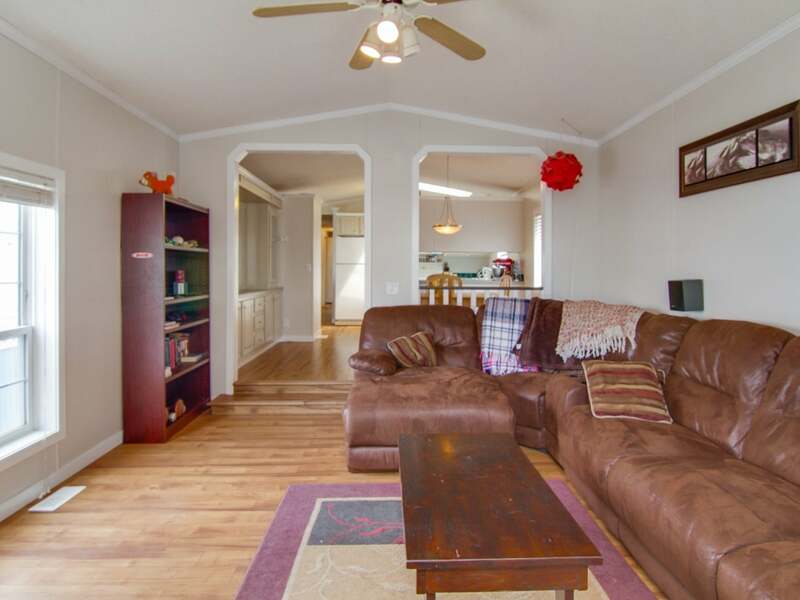 Enjoy the recently added entrance, refinished kitchen, updated light fixtures, and new laminate flooring. 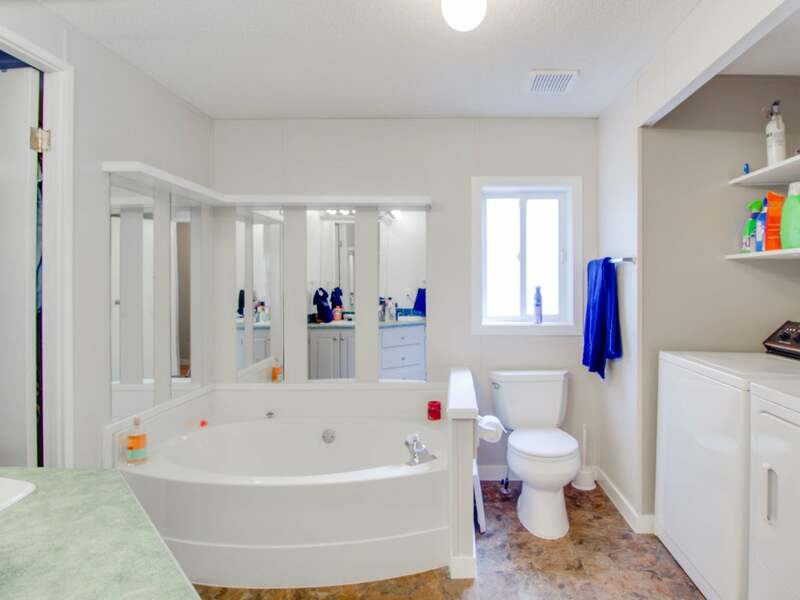 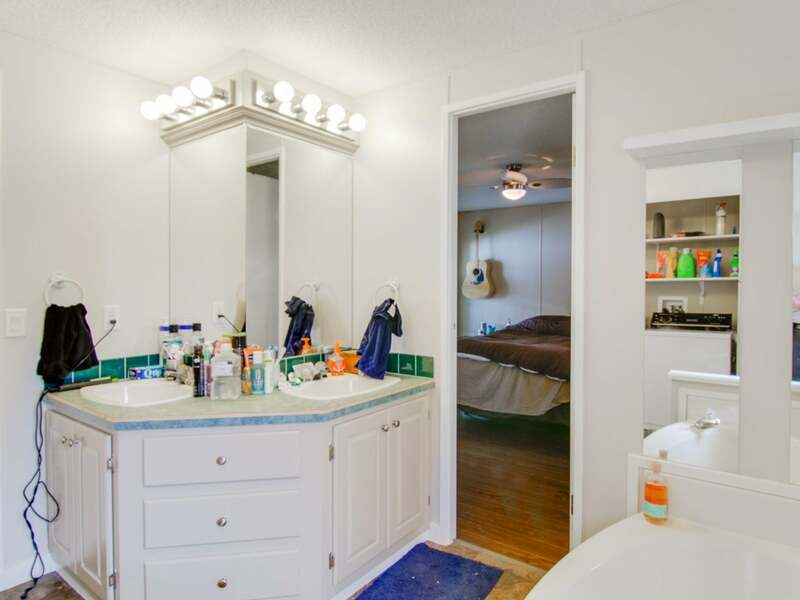 The 5 piece bathroom with private access from the master bedroom features a soaker tub, dual vanity, separate shower, and laundry. 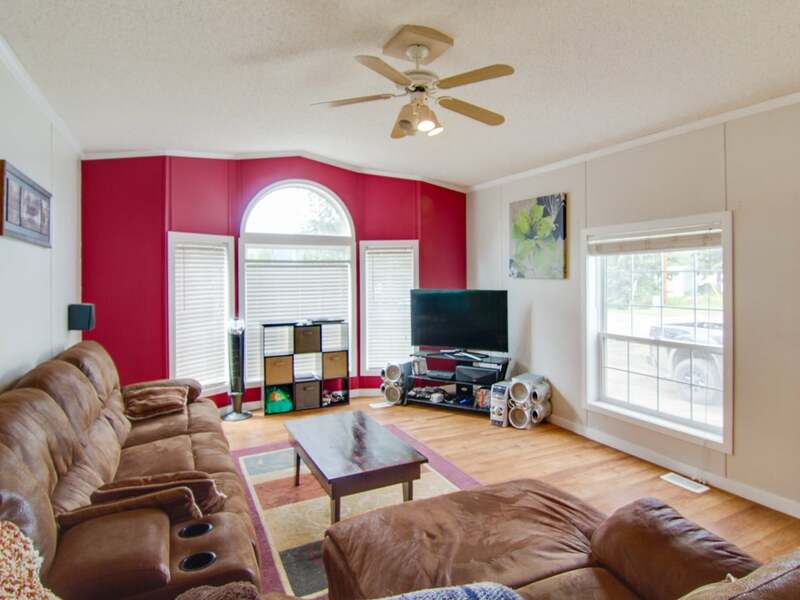 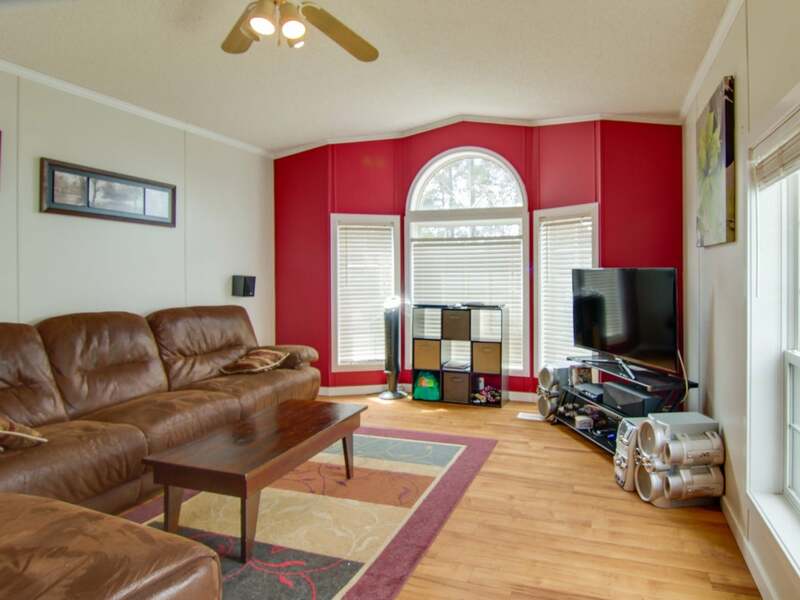 The sunken living room is bright and inviting with its vaulted ceiling and many windows. 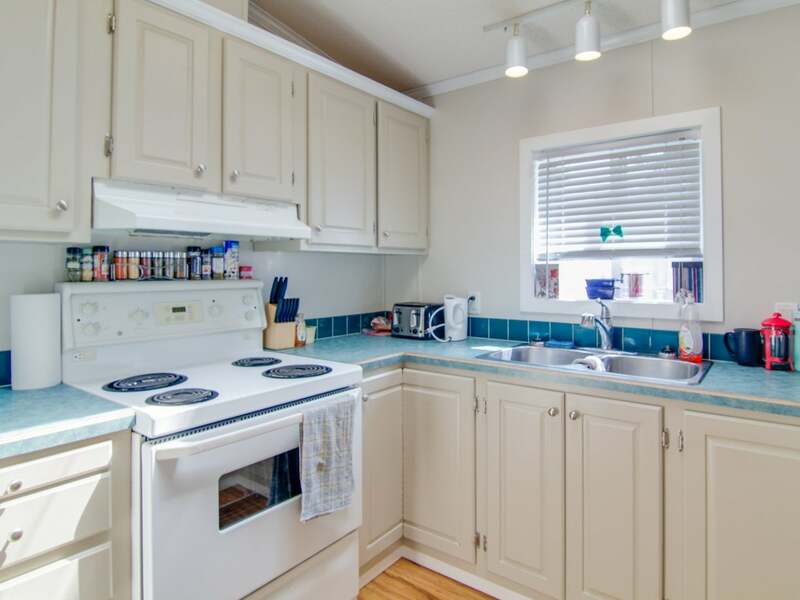 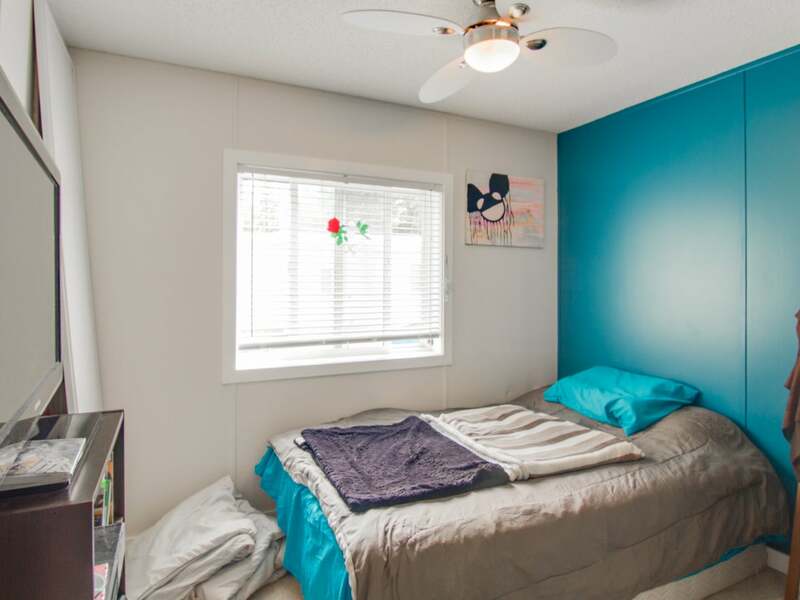 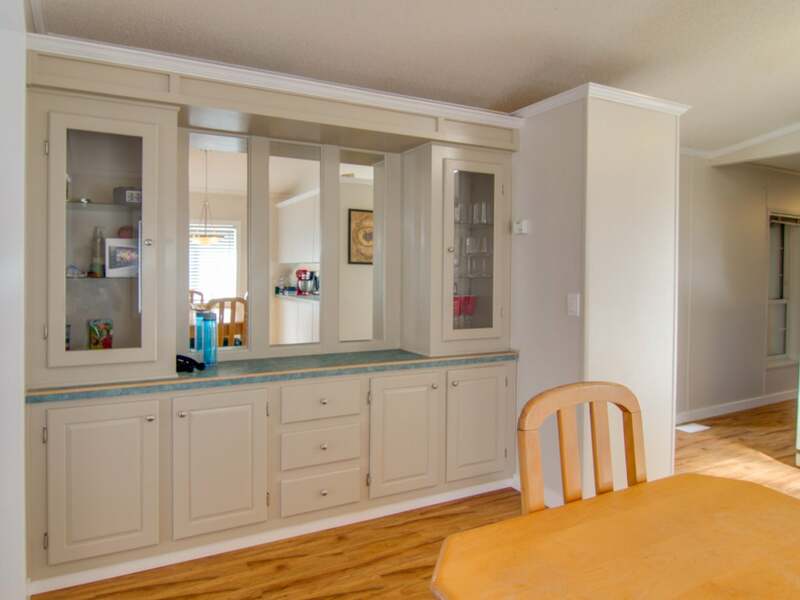 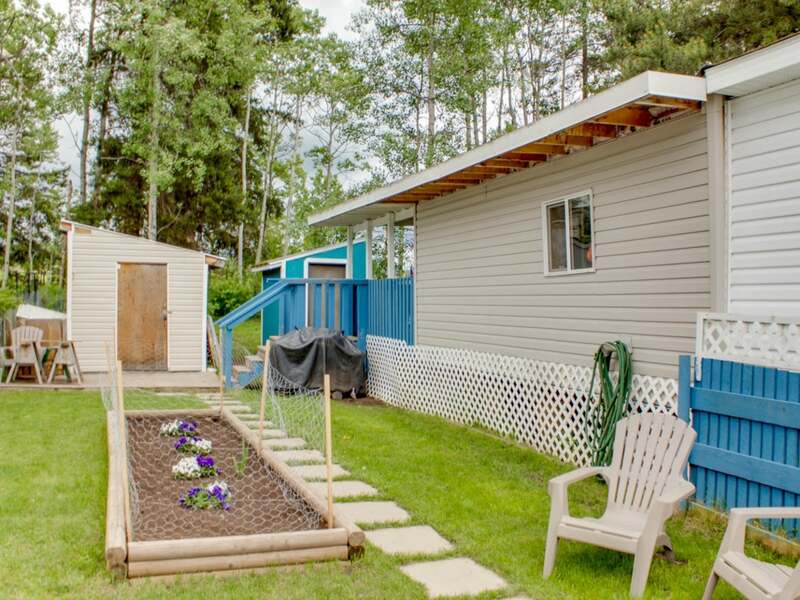 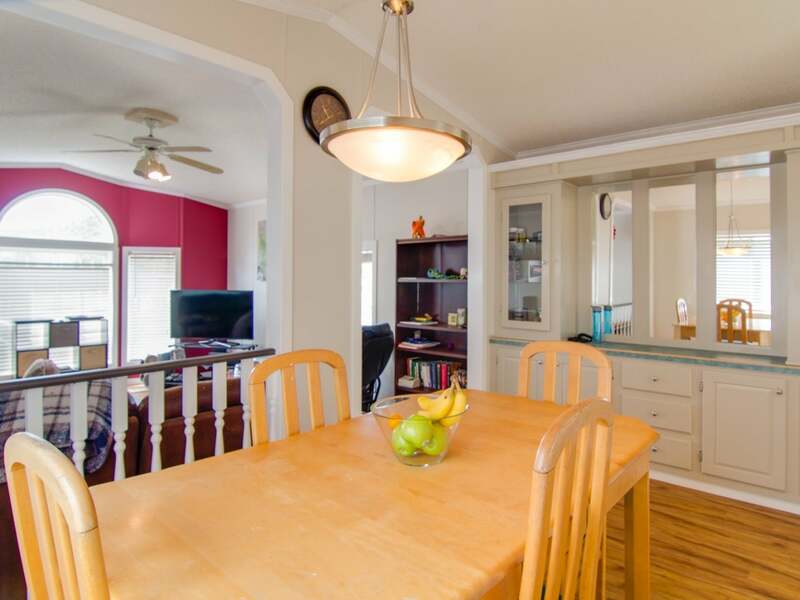 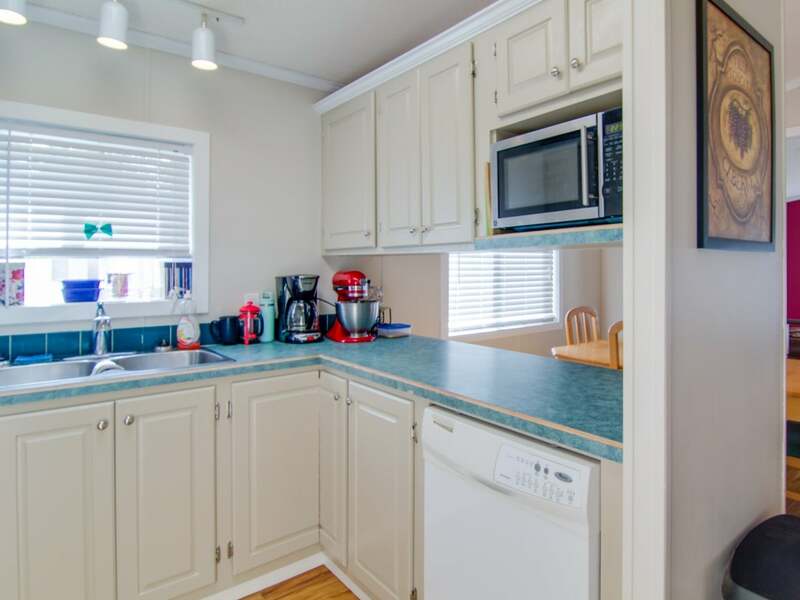 Outside is equally as charming with its covered back deck, private back yard, storage shed, and raised garden. 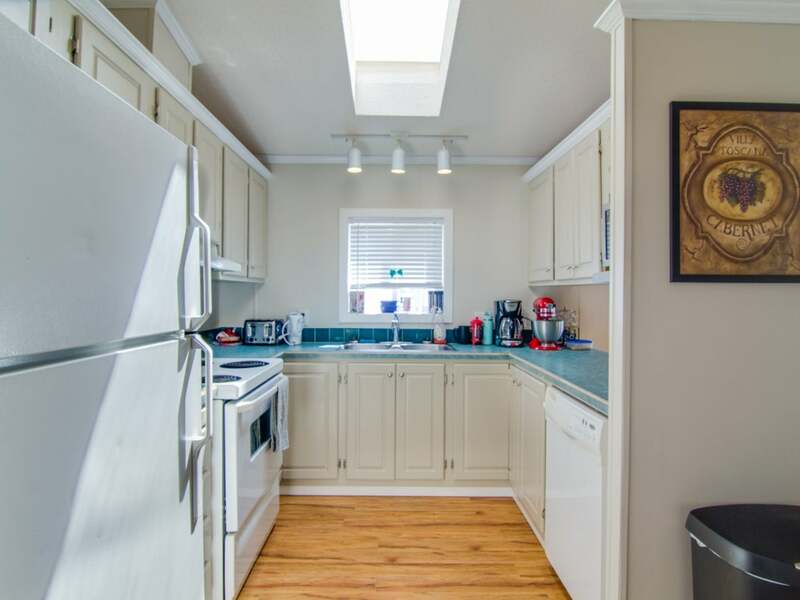 Don't miss out: View today!